Final day... If I would have a good result today I could make it to the top 5! I think I piled a bit too much pressure on myself to be honest and today would test me. Pole only, initially although I would break the rod out later in the day. 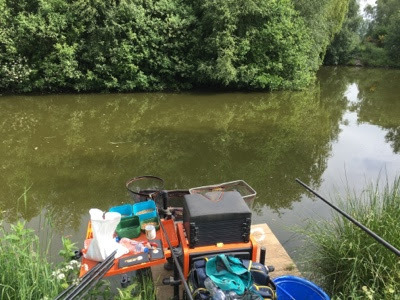 Another day fishing longer as it was 16 metres to the far bank and 15 metres to my right margin line. I figured that the bread working the other day it would also work on Bonsai so I prepared some discs before the all in. With that and the whistle I started across on the far bank working the bread along the margins. The action wasn't instant in fact it took some time before the first fish was in the net infact the first fish went to Brad who was fishing short. There were 3 pegs left in the bag, one of which was a flyer... Peg 20, Beeches. Gary gave me the tips on how to fish it and also piled the pressure on saying that I should win the lake from there! The plan was simple... 16.5 metres across under the trees and a margin line. That was it! I set-up 3 duplicate rigs for across as I could foresee danger under the trees and one margin rig. The across rigs would be banded pellet or worms. Straight across to the far side kinder potting in micro's and working the rig. No signs or indications for 10 minutes which was worrying. Eventually that familiar waft of the float and first fish on! After the tough day on Willows I headed back to the lodge and bumped into Nathan. We had a couple of cheeky beers on the terrace which turned into one monster night after all the other lads arrived back. Pizza was ordered again and hangovers would ensue in the morning! As I was on Willows yesterday, today it's my turn on Laurels. Peg 13 came out of the bag, an area that isn't noted to be great... with Brian P again opposite. Straight onto the dobbing line down the margins kinder potting micro pellets topped with groundbait. It only took 5 minutes for the first fish to take the bait. I worked this line for the first two hours of the match eventually moving to 16 metres down the margin. Another night of banter in the bar and an equally unhealthy evening meal from the nearest take away and for a change no hangover for me this morning. Today we would be on either Willows or Laurels. 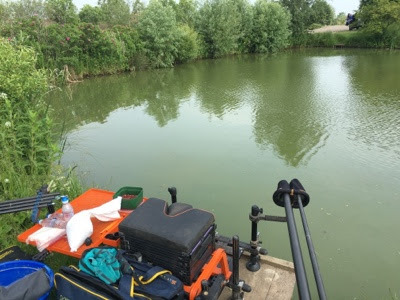 Peg 24 on Willows was my home for the day an area I'd not drawn before. The weather was oppressively hot, with very little wind resulting in no ripple on the water. Getting to the peg I had stick ups right in front of me, so I fished them out with a weed cutter. 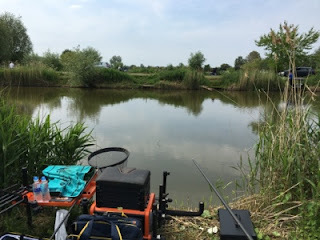 I didn't break out any rods and opted for a pole only attack with lines at 13 metres and 6 metres both with options at 2 o'clock and 10 o'clock. One shallow rig just in case, other rigs at full depth. The pole lines at 10 o'clock would be fed heavily, the other lines negatively via the kinder pot... I was already sunburnt from the previous day. Today would be no exception weather wise. 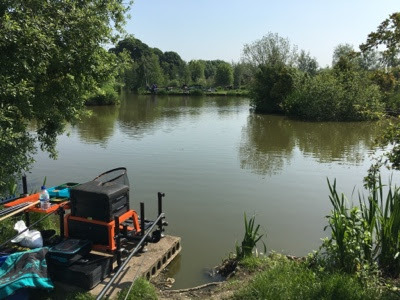 Day 1 of the Lindholme Angling Club 5 day festival, formerly the Maggotdrowners festival. 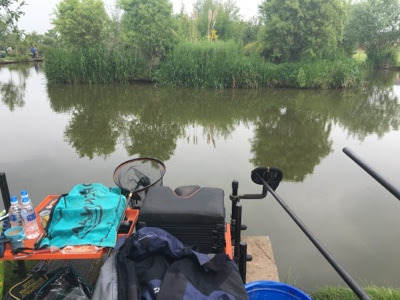 Arriving on the Sunday afternoon it was great to catch up with the lads and to meet some new faces as the numbers of anglers had swelled to 50 taking part. Dinner consisted of a chinese order from the only place that would deliver on a Sunday. I must now make an immediate apology to Nathan as I took all the orders from the lads and forgot to call him to see if he wanted some food too... sorry mate! Our accommodation had improved significantly this year with the addition of the lodges. Wow, luxury, comfort and a decent show! Thanks Keith! We ended the evening having some beers with my lodge mates, Neilly, Sir Len and Ecky. Peg 41 close to the tackle shop which gave me a chuck to the island. Neighbours for the day, Ian and Alan.